Horner syndrome is a facial triad of miosis, ptosis, and anhidrosis. It is produced by a lesion of the sympathetic pathway supplying the head, eye, and neck. Causes range from benign to serious. Epidural anesthesia is widely used during obstetrics and general surgery. Although generally a safe procedure, it can cause neurologic and ophthalmologic complications. We report a case of unilateral Horner syndrome in a 43-year-old woman with Ehlers-Danlos syndrome (EDS). 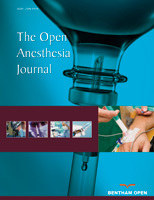 The patient underwent bowel and urogenital surgery under general anesthesia supplemented with L4-L5 epidural anesthesia. Horner syndrome may have been promoted by increased local anesthetic spread permitted by the connective tissue dysfunction of EDS. Furthermore, the patient suffered chronic constipation as a complication of EDS, and straining may have promoted upward spread of the local anesthetic. In addition, weakness of the dura and/or ligamentum flavum might predispose to subdural migration of epidural catheters in patients with EDS. Accordingly, EDS may increase the likelihood of a Horner syndrome following epidural anesthesia. Keywords: Horner Syndrome, Epidural analgesia, Ehlers-danlos syndrome, Sympathetic pathway. © 2017 Kong et al.